. :: ERIC LAMAZE – FINAL ROLEX DIARY – 7 DECEMBER 2012 - LONDON 2012 ::. Taking part in the London 2012 Games was an extremely useful exercise for me and Derly, although my goals were very different compared to four years earlier in Beijing with Hickstead. The Olympic Games were something that were never planned for Derly, but in the end I had no choice but to take her and it turned out to be a very positive experience for both of us after we qualified for the individual final. In my eyes Nick Skelton owned the place and it was apparent that everyone thought Big Star was the best horse of the Games. Steve Guerdat came in to steal it at the end; such a fighter with such a careful horse – he delivered an unbelievable performance to take it away from Nick. Once Steve put the pressure on, it made Nick make a mistake which he’d never usually do, but that’s the nature of the Olympics for you. I’m not trying to take anything away from Steve as he rode beautifully, but for me Big Star was the icon of not only London 2012 [Jumping], but also the whole season. It was an emotional competition for me mainly because of the planned tribute to Hickstead on the Sunday before the CN International. I was hoping to do the Grand Prix with Coriana but after walking the second round I just felt it was un-jumpable for her. I thought I could make it through the first round, but to compete her in the second would have been a punishment. It was obviously disappointing as it was the first time in a very long time that I haven’t participated in that event. With something big happening, like Hickstead’s tribute at the end of the week, my mind wasn’t as focused as it should have been so I was really ready for a break after that. The tribute was fantastic and to hear the other riders speak about Hickstead was very moving for me. The team at Spruce Meadows did an incredible job with their presentation of the statue, and it seemed as though the crowd absolutely loved it. Hickstead wasn’t with us that day, but with the unveiling of the statue and the atmosphere from the crowd it seemed like he was. Steve Guerdat is a personal friend of mine and Rolex couldn’t have brought in a better person or a more talented rider. I admire him immensely and we always talk about everything – he’s just a great guy. Steve’s not always had it easy, and there have been times when he’s come to shows like this [Geneva] with not as much quality as other riders, but he’s stuck with it and now has an absolute superstar horse in Nino des Buissonnets. The best is yet to come from Steve Guerdat and I couldn’t be happier to hand over the [Olympic] title to him for the next four years. I’m starting to ride again and I’ve already purchased one very nice six year old from Gilbert de Roock. I’ve also purchased a nice seven year old from Gilbert and we are looking to add a further five or six young horses to the stable. I now want to restart my career, so to speak. My general plan is to build up some talented young horses myself and to eventually make a strong comeback in Jumping. I’ve taken the decision to focus my time on the youngsters and I hope it will all be worth it in the end. You never know… I could find a talented eight year old with good enough mileage for me to be back even sooner. It’s very much a Rio [2016 Olympic Games] plan. I’m going to have to sacrifice a little bit of next year, but with any luck the seven year old will be ready to do some interesting things before Christmas . There will be a few personal challenges that I’m going to set myself, but generally 2013 will be all about building the team. Of course I’d like to be the number one ranked rider in the world again and to be in contention to compete at the Rolex IJRC Top 10 Final, but there will be an emphasis on developing young talent and I’ll be targeting Young Horse competitions such as the FEI World Championships in Lanaken (BEL). 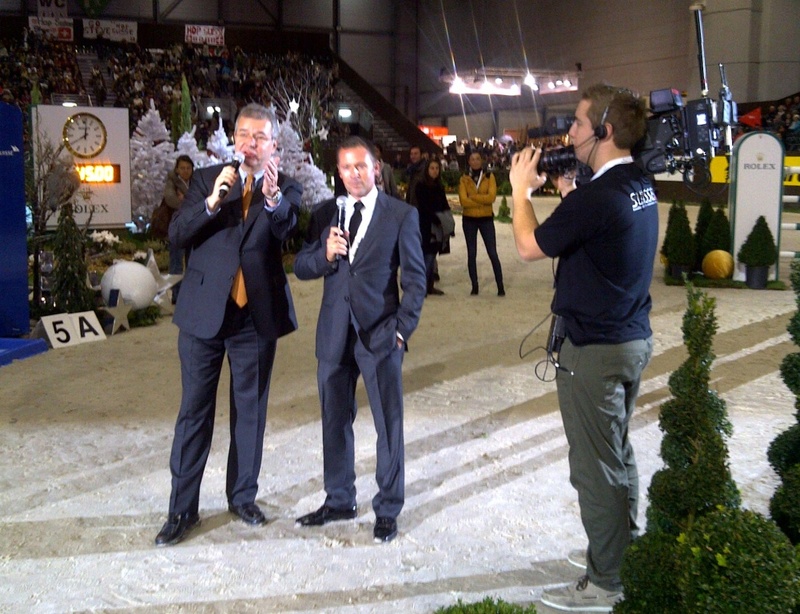 Eric Lamaze, Olympic Games gold medal winning Show Jumper, is a Rolex equestrian sports Testimonee.